MBA shortened for Master of Business Administration is a prominent preference amongst graduated students. What we often fail to recognize are the specifications under the degree itself, one can do MBA in fields that many are unaware of. The same dilemma is faced with the admission procedure, choosing an appropriate University to study in, the additional expenses especially in the case of International students and so on. So, here we have conjured an article to tackle all these situations that many of us face or may have to face in the coming days. Let us go step by step for understanding the complete ordeal. MBA isn’t just constrained to one particular field. One can do MBA in International Business, Hotel Management, Market and Finance, Hospital Management, HR, Agriculture, Accounting, Communication and lot more. The right course is one which you are interested in and not what is generally followed. The market does matter, but as long as you are analyzing and focusing on development on a whole, any field would prove equally beneficial. The degree open gates to commendable opportunities and can be availed in various spheres of Industry. Your career progresses on a more swift speed also, giving a chance to make any shifts while emphasizing on self-growth and creating a big business network. The reasons could be endless and vary from person to person, but a postgraduate degree in Business Administration can give you the required knowledge and change. 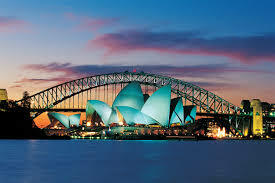 Australia is a hot spot for students who wish to study abroad. Australia sees the highest number of International students every year from China and India. Australia provides various options for education, MBA being one such option. Australia is known for its high standard of living, diverse nature, and of course all the wine and Kangaroos. MBA and Australia can be defined as an appreciable life, quality education, and a chance to broaden your horizon beyond the obvious. How to get Admission in Australia for MBA? The requirements differ from Institution to Institution, however, a three-year graduation program is a must-requirement. TOEFL or IELTS (for English Proficiency) is generally a mandatory exam that you have to take and clear for admission in Australia for MBA. GMAT is also recommended and accepted by various Universities, however, it is may or may not be a mandatory condition. What is needed, though, is some substantial work experience which is then mentioned in a detailed CV which is to be provided to the University at the time of Application, along with a Statement of Purpose mentioning your aspirations, the reason to choose Australia and the concerned University for the course and your financial capability. Letter of Recommendation is also a requisite for the application. Students often seek career advisors, counselors, migrant agents, and consultants to help them with their application and its successful submission. Professional help is advisable owing to the subtle procedure, however, it is crucial that students realize that the help they seek needs to be reliable. Being financially stable forms an essential aspect of migration, you need to meet certain financial requirements in order to obtain a student visa. The minimum cost, as stated by the Australian government, is AUD19,830 (INR 10,18,045), in case you have your spouse with you, an addition of AUD6,940 is made to the former amount, and an addition of AUD2,970 in the case of a child along. The course fee varies and needs to be checked on the University website respectively. MBA courses are generally two-years long program, however, there are accelerated MBA programs (which lasts up to 12-18 months), as well as part-time MBAs (up to 3 years) which is a common option for working individuals. 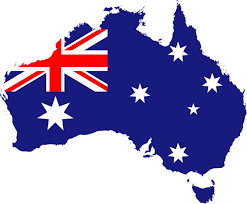 Deciding to up and leave for Australia is not such a smart choice, you need to know which University you want to study in and in which field. So to help with, we have here a list of top B-Schools in Australia for MBA who provide quality education with a balanced theoretical and practical knowledge. All about global Business Education, it provides top-notch MBA programs. A Not-for-profit Organization, this B-school is a dream come true for many. QS Rankings have ranked this B-school 30th all over the world for Business and Management. Another popular B-school amongst students, this Sydney establishment offers an array of Business programs. This 1958 establishment is one of the largest University faculties in Australia, it is well-known for MBA programs it offers. Constantly in the race for 1st position, its MBA program has accreditation by Association of MBAs (AMBA), London. Offering a wide range of MBA and specialization programs to graduate students, UNSW remains a top choice among students. One of the six faculties of the University, this B-school offers programs in various discipline mainly including Economics and Finance, Marketing and PR, Accountancy, Management, and Advertising. A Brisbane establishment, there are seven research areas in which this B-school offers undergraduate, postgraduate and research programs. The School is offering MBA programs since 1972 and has always been in the top ranking. There are other well-known B-schools that continue to provide MBA programs. Some of them are – Macquarie University – Macquarie Graduate School of Management, The Australian National University – ANU College of Business and Economics, University of Western Australia Business School, Curtin Business School (Curtin University), RMIT University College of Business, La Trobe Business School (La Trobe University), Victoria College of Business (Victoria University), Charles Sturt University, University of Adelaide Business School, Griffith Business School (Griffith University) and many more. requirements that ultimately decides where you would end up being. Rest ensure, Australia remains an amazing destination to study MBA or complete any other Postgraduate courses in.